For her upcoming solo recital, Yoko Reikano Kimura - koto and shamisen player - focuses on the shamisen repertoire, which includes music from various genres. 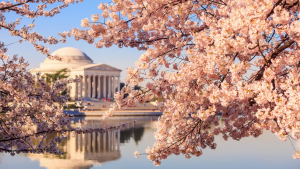 The program will feature masterpieces of classical as well as contemporary shamisen music, which includes Yoko Sato's "Not a Single Cloud Exists" that will be performed by Duo YUMENO. Also, this concert will feature the world premier of Marty Regan's "Shamisen Concerto." New York-based and world-renowned pianist,Taka Kigawa will also perform as a special guest. This recital will highlight the essence of shamisen through various style of music. If you are in the area, please do not miss this opportunity! Duo YUMENO will make its second appearance at Japan Society of Fairfield County's annual new year celebration. 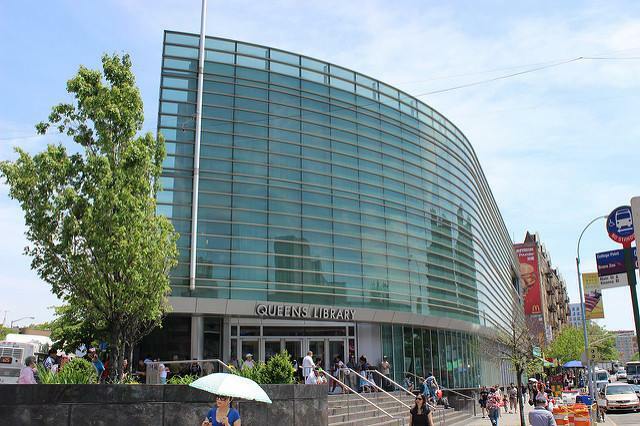 Duo YUMENO is proud to perform in Queens, NY, one of the most culturally diverse area on the planet. 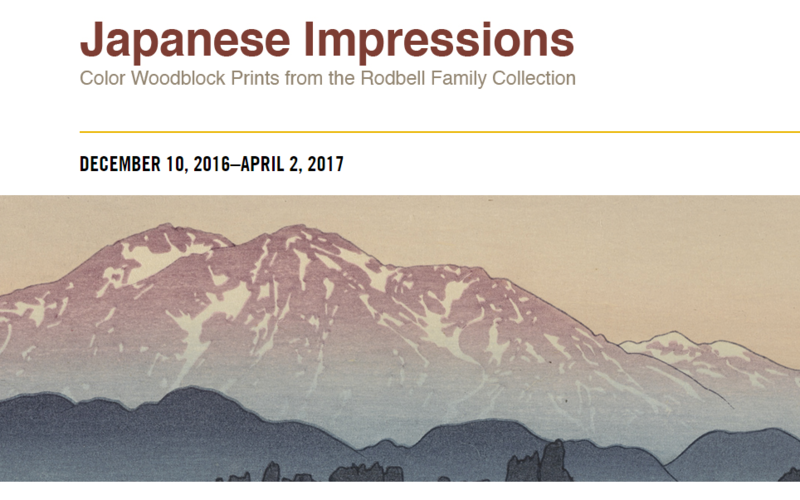 The duo will present its program at the Clark Museum in Williamstown, MA to accompany the exhibition, Japanese Impressions: Color Woodblock Prints from the Rodbell Family Collection. 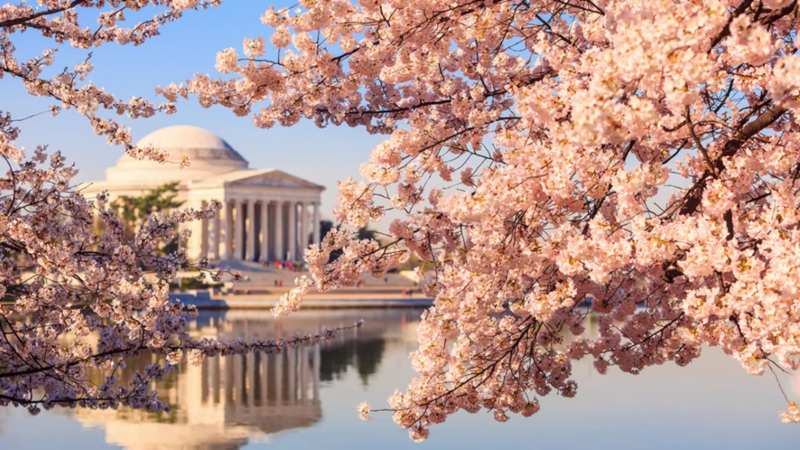 Duo YUMENO will be featured at the National Cherry Blossom Festival in Washington DC. More details will follow. 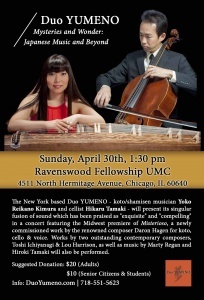 The program will include works by Daron Hagen, Marty Regan, Toshi Ichiyanagi and Lou Harrison. 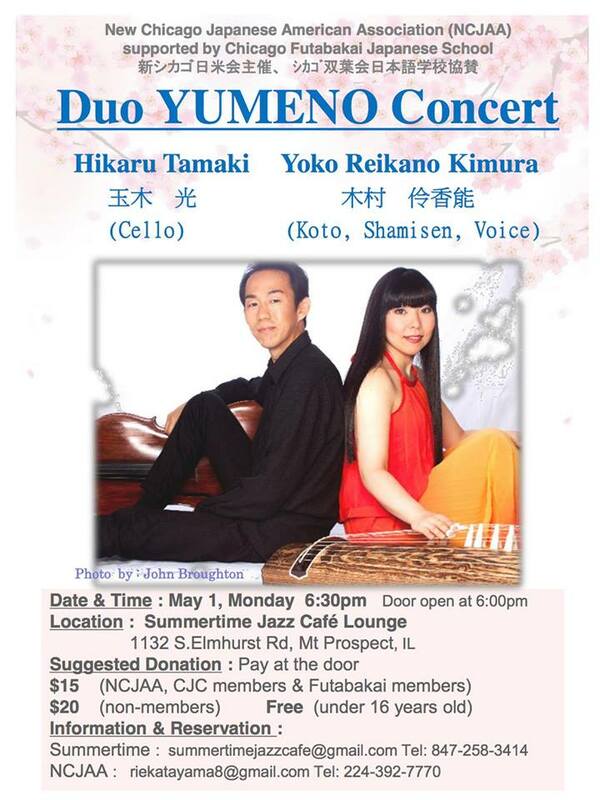 The duo will perform a free concert at the beautiful and serene Japan House, which is affiliated with University of Illinois. Donation is welcomed. The duo will be featured at Anderson Gardens' annual children's day festival. 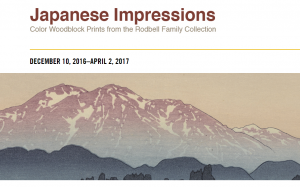 The duo will be featured at this annual event, which celebrates all things Japanese. 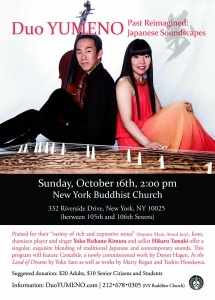 The duo will be featured at this season's Arts at Tenri series, presented by Kyo-shin-an Arts. The program will include the world premiere performance of a new work for koto and cello by Kaito Nakahori, the New York premiere of "Misterioso" for koto, cello & voice by Daron Hagen, the world premiere of "Circle of Lights" for shakuhachi, koto & cello by Thomas Osborne and the world premiere of "We Will Surely Meet Again" for shakuhachi, koto and shamisen by James Nyoraku Schlefer.